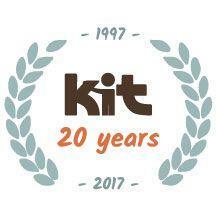 KIT strives to help the world see the ability in every child. Our organization helps others meaningfully include kids with disabilities through inclusion training, policy development and sharing our best practices information and research. By creating inclusive environments where no child is excluded, everyone benefits. Our goal this year is to raise $20,000 for our 20th anniversary!